Update 1/13/14 at 1:55 PM: Miami University spokeswoman Claire Wagner said in an e-mail because the case involves a current student, the school will not comment on the complaint other than to deny the allegations. Wagner said Miami is committed to the success of all of its students and Miami is committed to equal access. Cincinnati and Miami University will host the 2016 NCAA Division One Men's Ice Hockey MidWest Regional. 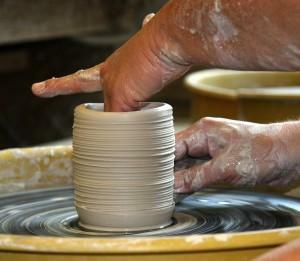 The 2014 MidWest Regional is also being held in Cincinnati. The Cincinnati USA Regional Chamber expects the two-day tournament will generate more than 850 hotel room nights. Games will be played at US Bank Arena. 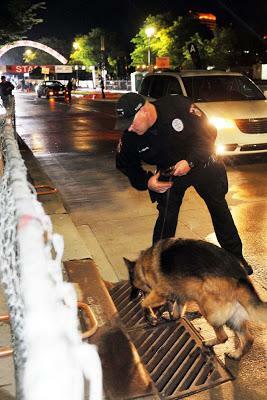 Earlier this year Miami University's first police canine retired. On Monday the university held a retirement ceremony for Ero, the German Shepherd who has been with the department since 2005. Ero continues to live with his handler, Officer Keith Hibbard, and Hibbard's new K-9 partner, Figo. Miami University's newest canine officer is part of the security team for Monday's visit by Homeland Security Secretary Janet Napolitano. Miami's first police dog, Ero, retired earlier this year. His replacement is a 1-1/2 year old Belgian Malinois named Figo. He and handler, Officer Keith Hibbard are hard at work today helping local and national authorities with the Secretary's appearance at the Fraternal Order of Police National Convention. 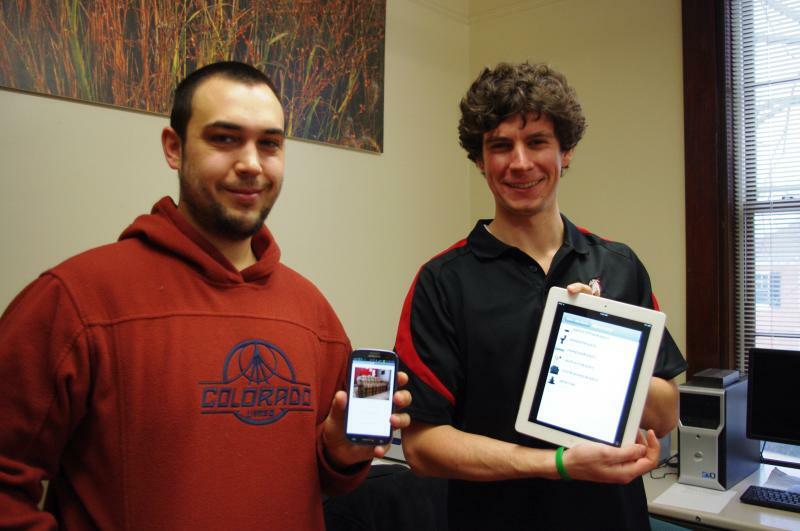 A Miami University student is being rewarded for having his head in the clouds. 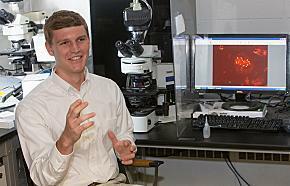 The Astronaut Scholarship Foundation is awarding Senior Dirk Auman a $10,000 scholarship. He's one of just 28 students nationwide to receive the honor. 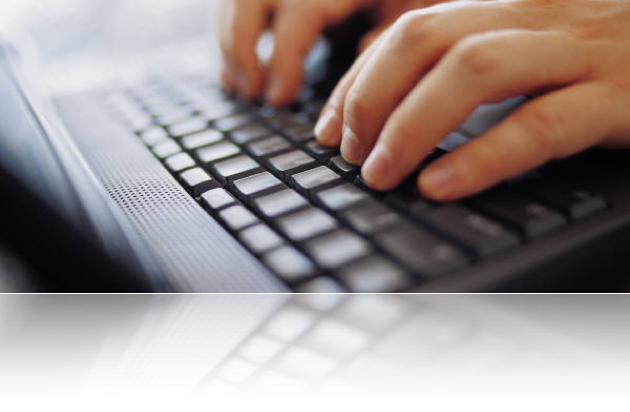 You have to be nominated by a professor and meet a host of criteria to qualify. Auman is double-majoring in biochemistry and engineering physics with a minor in computer science. It might be a case for Indiana Jones... Miami University says someone has stolen 13 Native American, Aztec and other artifacts. The items were taken sometime over the weekend. The university estimates the loss at nearly $10,000 but says that is a generic estimate based on similar objects found online. An official says the items are priceless because the real value is unknown and the items are irreplaceable. 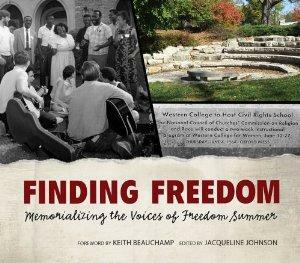 "Finding Freedom: Memorializing the Voices of Freedom Summer"
A new book provides detailed information about the Freedom Summer Monument on the campus of Western College at Miami University in Oxford, Ohio, which was dedicated in 2000. Finding Freedom: Memorializing the Voices of Freedom Summer commemorates Western’s role in Freedom Summer and memorializes James Chaney, Michael Schwerner, and Andrew Goodman, the Freedom Summer trainees subsequently murdered in Mississippi. The book’s author, Jacqueline Johnson, is the archivist of the Western College Memorial Archives, and she talks with Mark Perzel about this tragic time in American history. If this is the summer you are going to exercise your artistic side, you’ll want to learn all about the Miami University CraftSummer artist workshops. Ron Stevens, the CraftSummer director, joins our Robyn Carey-Allgeyer to talk about the variety of courses being offered, how experienced you do or don’t have to be, and how to get registered for classes that start June 7. In the wake of the Boston Marathon bombings, Miami University is stepping up security at its upcoming graduation ceremonies. University spokeswoman Claire Wagner says there have been no threats or safety concerns but the school is updating measures as a matter of good practice. She adds the changes are basically the same as those already in place for football games. All bags will be checked and attendees will be "subject to visual inspection of person, parcels, bags and clothing capable of concealing prohibited items." Two of our area’s premier adult learning institutions, UC’s Osher Lifelong Learning Institute and Miami University’s Institute of Learning in Retirement will combine forces on April 26 to present their Collaborative Conference, a day full of senior learning opportunities. Organizer Rosemary Deitzer tells our Jane Durrell that the conference will feature topics as diverse as electronic medical records, sports stories, and the past and present of our international airport and will take place at the Miami University Voice of America Learning Center in West Chester. Update: Botanist Jack Keegan reports the 'corpse flower' is now blooming. The flower typically blooms for only a few hours. Miami does not plan to pollinate it so Keegan says tonight's the night to get to Oxford if you want to see it in bloom. Keegan is expecting large crowds. The Belk Greenhouse will be open until at least 11 p.m. Tuesday. Original story posted: April 2, 2013 at 5:17 p.m.
A rare flower is just about ready to bloom at Miami University and unlike its relative the calla lily, you may want to hold your nose when you see the Titan Arum. Miami University is looking for a new women's basketball head coach. The Redhawks have fired Maria Fantanarosa effective immediately. 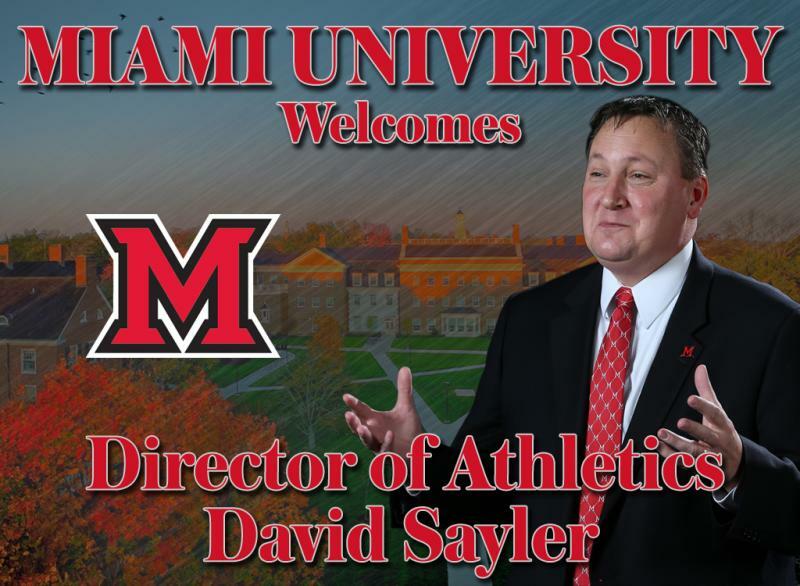 Who is Miami University's 'newest' trustee? Gov. John Kasich is appointing David H. Budig of Cincinnati to the Miami University Board of Trustees. Budig's term begins March 11, 2013, and ends February 28, 2022. Budig was filling the unexpired term of Kay Geiger, who resigned in spring 2011. Miami University enjoys a unique relationship with the Miami Tribe from which the school derives its name. 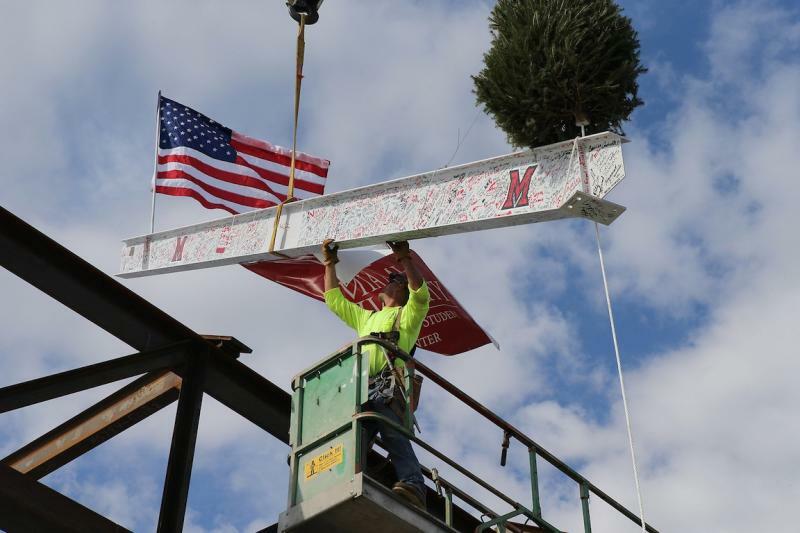 Miami University is expanding its commitment to preserving Miami tribal culture. The Myaamia Project (pronounced: me-AHM-me-uh) is now a full center. Director Daryl Baldwin says becoming a center further enhances the project's language and culture preservation goals. Miami University isn't losing its appeal. 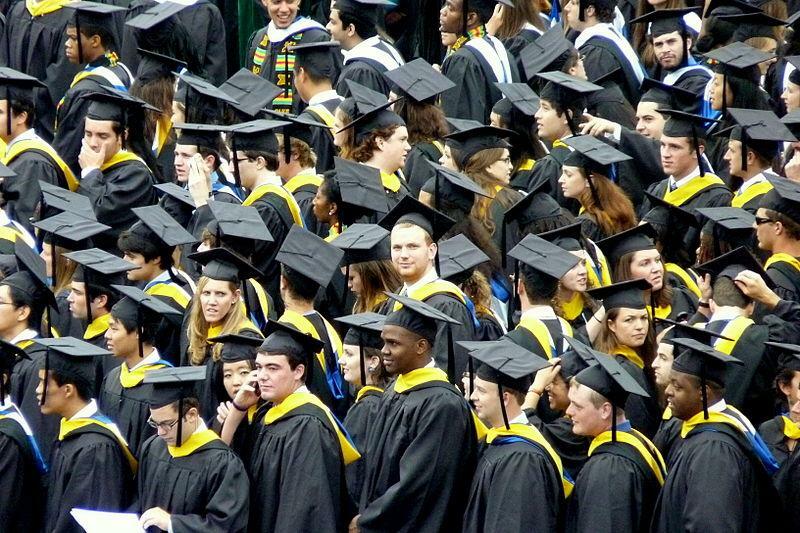 The university says as of Wednesday 21,027 potential students have applied for the fall 2013 semester. That surpasses 20,314 applications received in 2012. Miami says it expects this year's number to grow even higher by the February first enrollment deadline. The Miami University Marching Band was in the first wave of invitees to participate in the 57th Inaugural Parade on Monday, Jan. 21 in Washington, D.C. So far, the Miami University band is the only participant from Ohio invited by the Presidential Inaugural Committee.